West Islip is a hamlet and census-designated place located in Suffolk County, Long Island, New York. It is within the Town of Islip and is an exciting community with a great mix of recreation and business. West Islip is bordered on the North by Brentwood, on the east by Bay Shore, on the south by the Great South Bay, and on the west by the village of Babylon. West Islip’s western boundary is a natural one formed by Sumpwams Creek, Hawley’s Lake, Deer Lake, and Swan Creek. 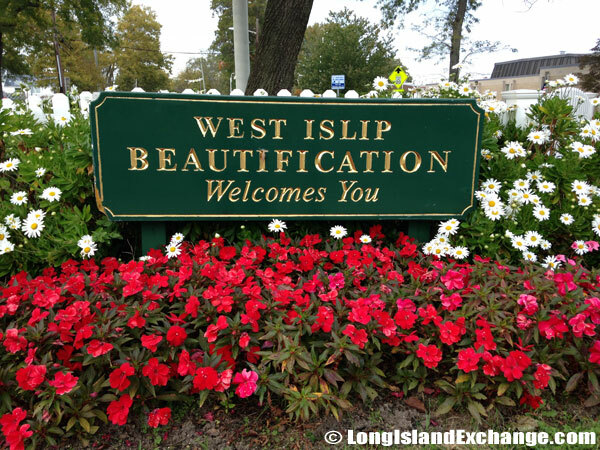 A sign erected by the local Chamber of Commerce welcomes visitors and residents to the hamlet of West Islip. 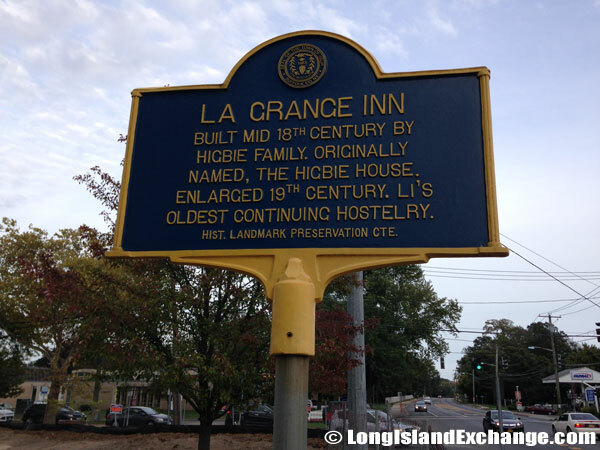 Historical marker at Montauk Highway and Higbie Lane for The La Grange Inn, built Mid 18th century by the Higbie family. Originally names the Higbie House, enlarged 18th century. LI’s oldest continuing hostelry. 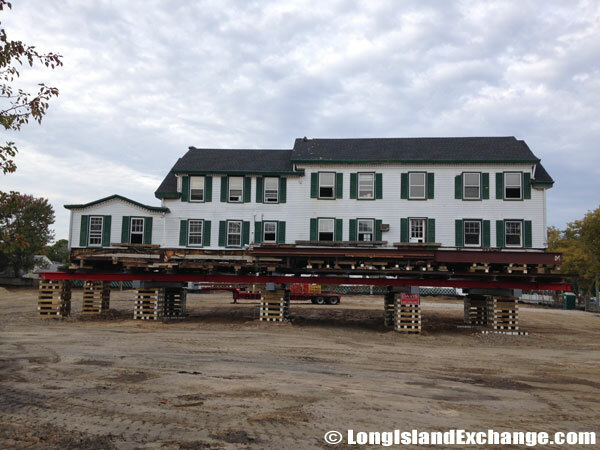 The historic La Grange Inn, carefully being moved to a corner of its lot for a new CVS drugstore. CVS filed an application in 2012. October 7, 2014. 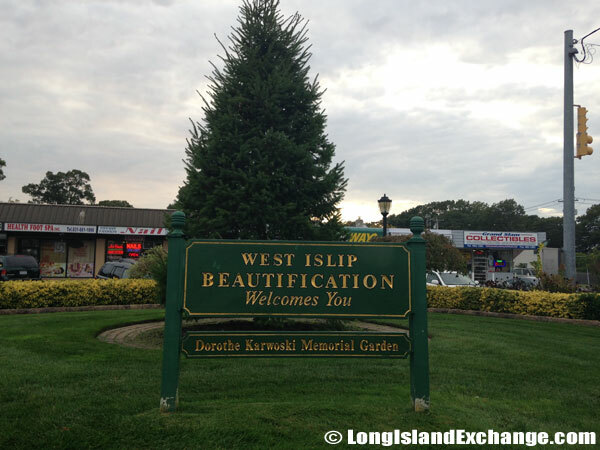 The West Islip Beautification Society is a non-profit organization established in 1976 by Dorothe Karwoski to make West Islip a uniquely landscaped hamlet. 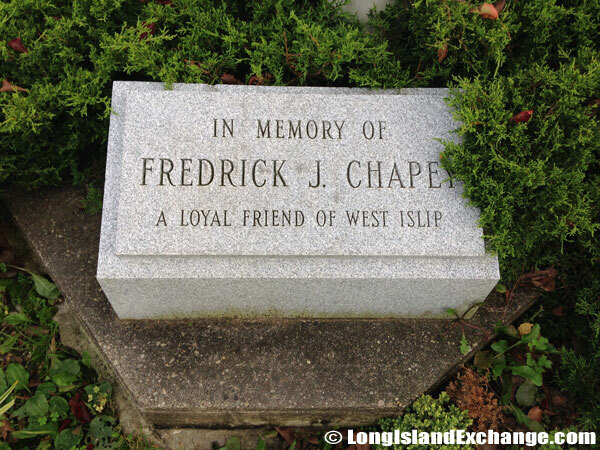 A memorial stone placed in memory of Fredrick J. Chapey, a lowal friend of West Islip. As of the 2010 census, there were 28,335 people, 9,047 households, and 7,459 families residing in the CDP. The median income for a household in the CDP was $97,242, and the median income for a family was $105,844. Males had a median income of $75,094 and just $50,889 for females. The latitude of West Islip is 40.706N. The longitude is -73.306W. It is in the Eastern Standard time zone. Elevation is 20 feet. 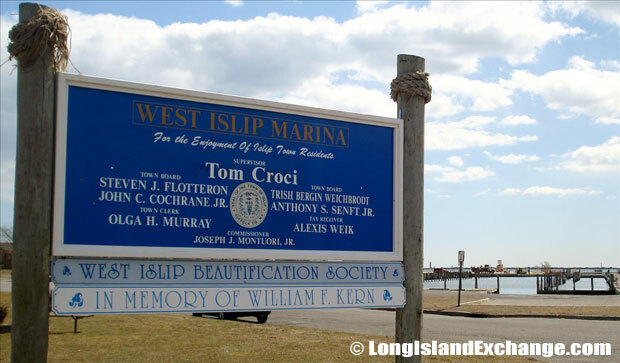 A sign welcomes visitors and residents to West Islip Marina, in memory of William F. Kern. 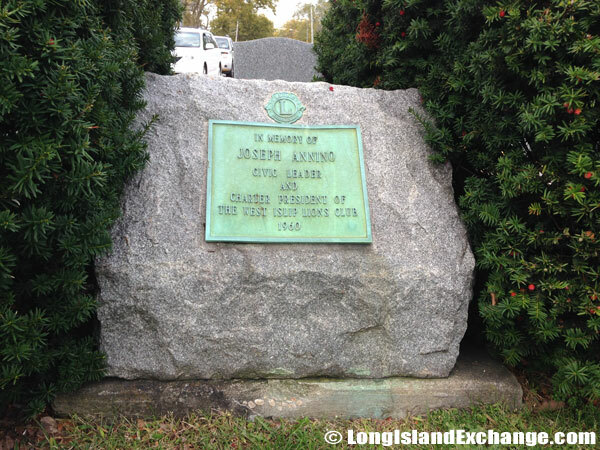 A memorial rock placed in memory of Joseph Anning, civic leader and Chamber President of the West Islip Lions Club, 1960. 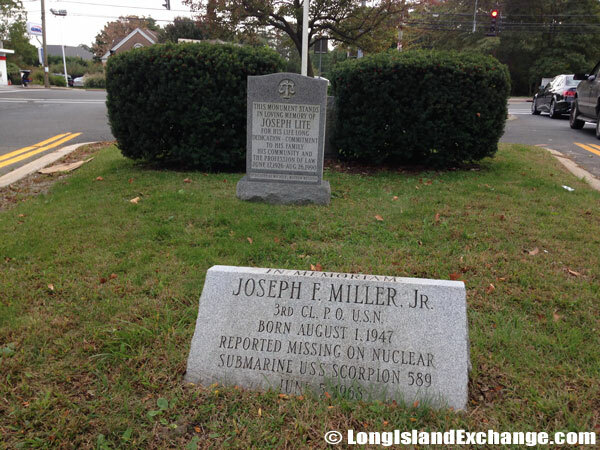 Memorial stones in memory of Joseph Lite and Joseph F Miller Jr. at the corner of Higbie Lane and Montauk Highway. 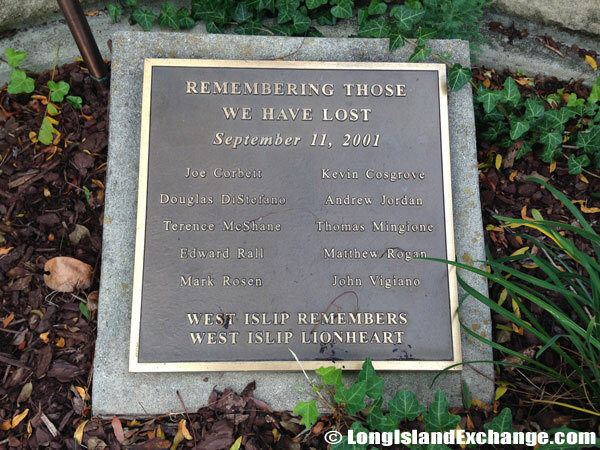 A memorial plaque lays outside the West Islip Library for Remembering those lost in September 11, 2001. 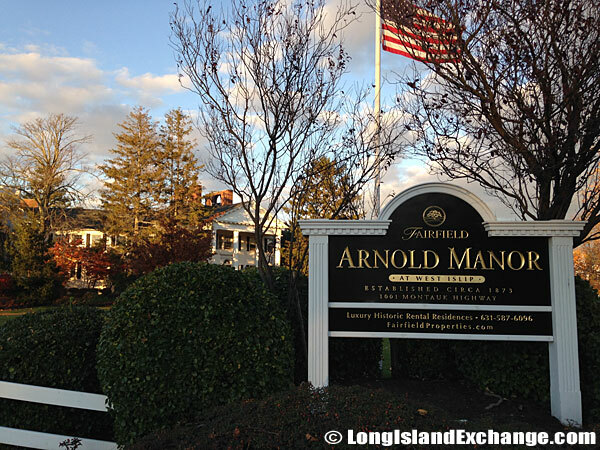 The Historic Grand Mansion known to area residents as the Fairfield Arnold Manor. Annie Arnold, wife of then deceased William Arnold, had it rebuilt in 1906. William’s grandfather, Aaron, founded one of the first dry goods stores in New York City in 1825. The Secatogue Indians were the first people to settle in West Islip more than one thousand years ago. In the early 1600’s, the community came under the influence of the Dutch. It came under English rule when the Duke of York claimed Long Island with the permission of King Charles II in 1664. The West Islip Fire Department. 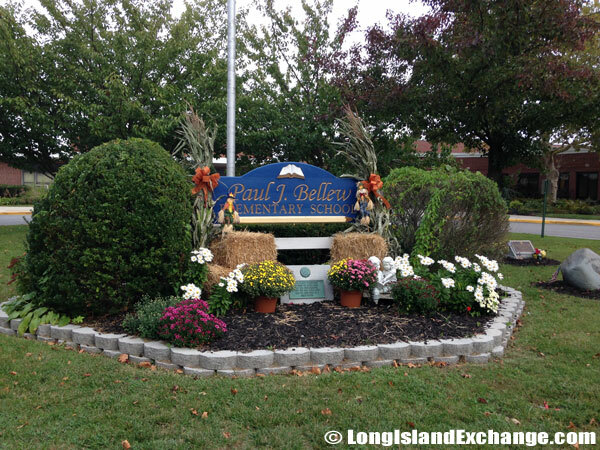 Paul J. Bellew Elementary School. A plaque dedicated to those we little knew but will long remember. They who gave their lives that we might still be a great nation. Placed outside of the Paul J. Bellew Elementary School by the American Legion. 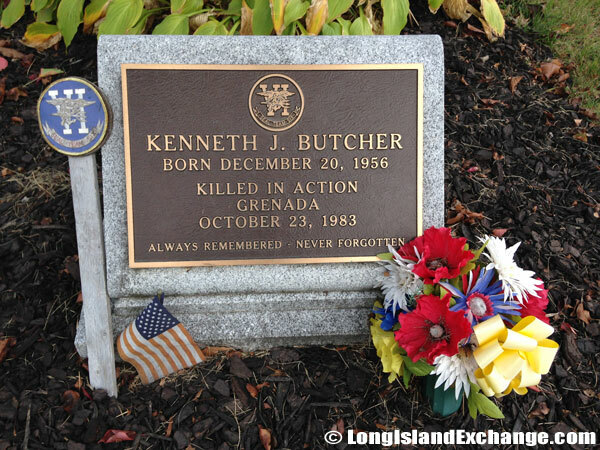 A stone plaque remembers Kenneth J Butcher, killed in action Grenada, October 23, 1983, also outside on the grass at the Paul J Bellew Elementary School. 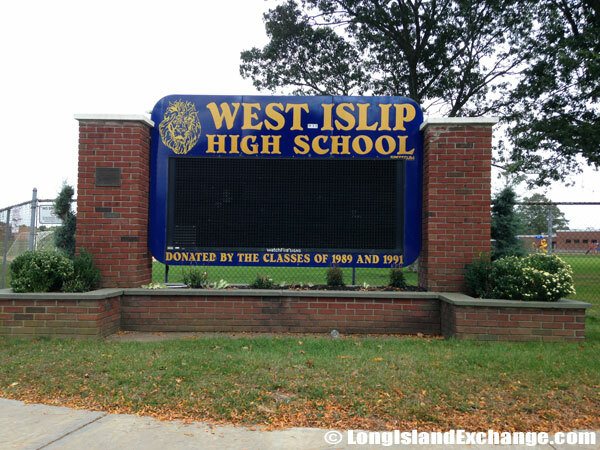 West Islip High School entrance on Higbie Lane. In later years, the land was bought by Thomas and William Willetts through an agreement with the Secatogue Indians. They found the area well suited for farming and hunting and the many waterways abundant with fish and shellfish. In the twentieth century, West Islip had become an attractive suburban home community with its own fire department, post office, public library, and Good Samaritan Hospital. Looking toward Good Samaritan Hospital, from Montauk Highway. 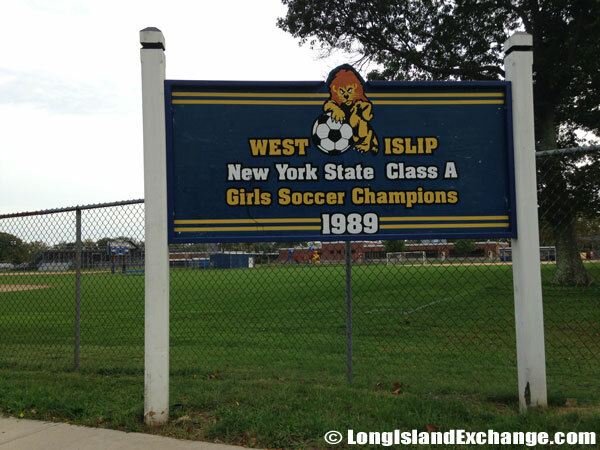 West Islip Girls Soccer Champions, 1989. 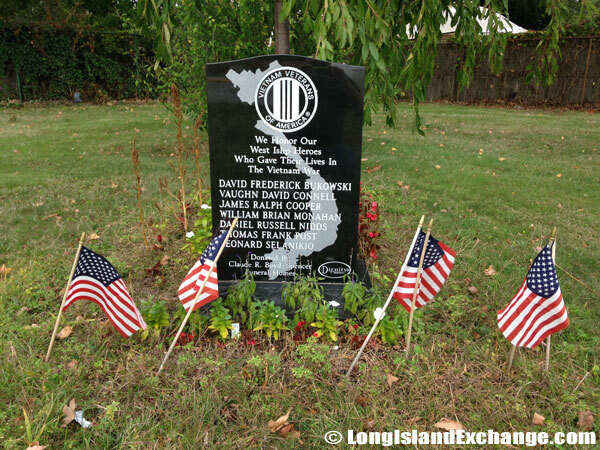 A memorial stone honoring West Islip heroes who gave their lives in the Vietnam War, sits outside the High School. West Islip High School, back parking lot. 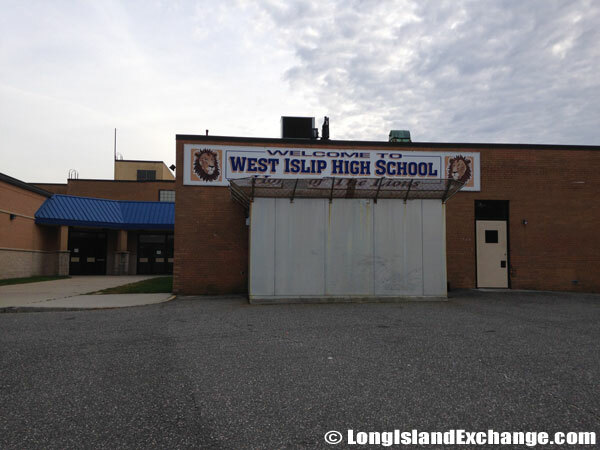 Several notable residents living in West Islip include Al Oerter (Olympic discus thrower), Gary Sullivan (soccer player), Edie Falco (actress), Mike Komisarek (NHL player), and Thomas Joseph Downey (former US congressman). The racial-makeup comprises of 95.9% White, 0.6% African American, 0.01% Native American, 1.7% Asian, 0.01% Pacific Islander, 0.51% from other races, and 1.1% from two or more races. 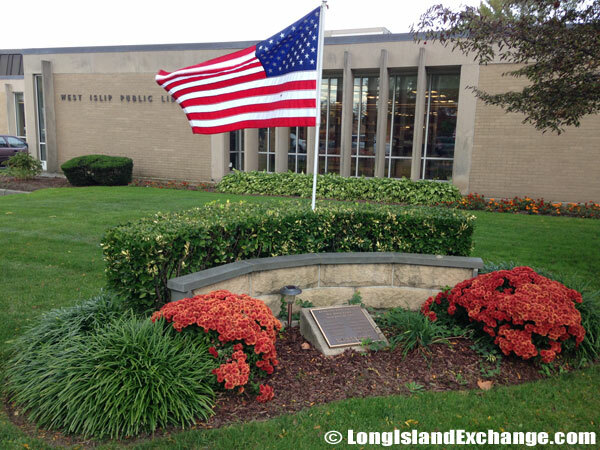 The right side of the West Islip Library at the corner of Higbie Lane and Montauk Highway. 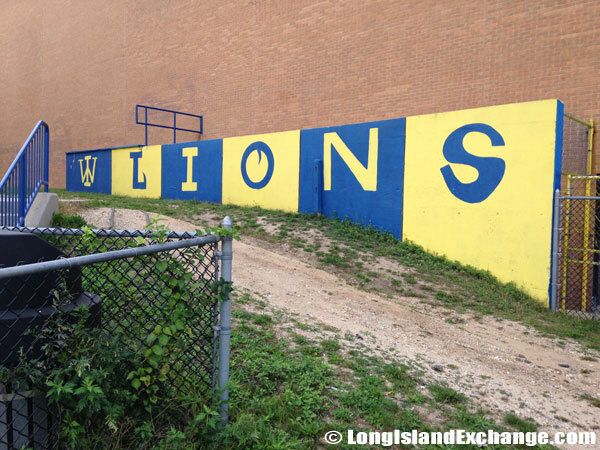 In the back of the High School, this painted Lions mural greats its visitors and players. 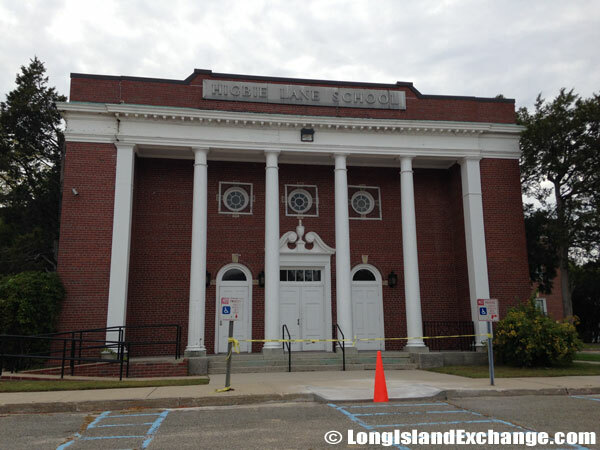 The Higbie Lane School, now a town administration building. 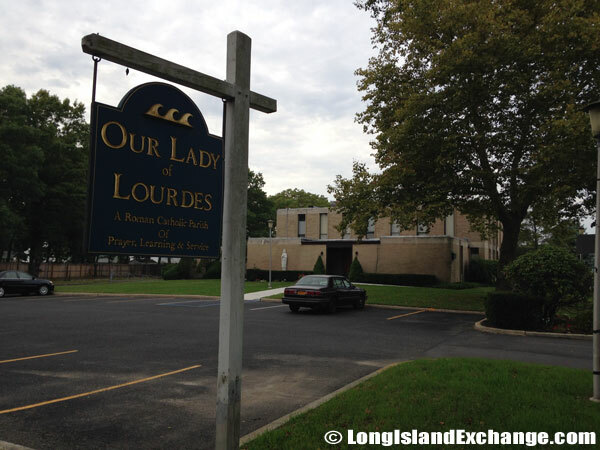 Our Lady of Lourdes school and parish. 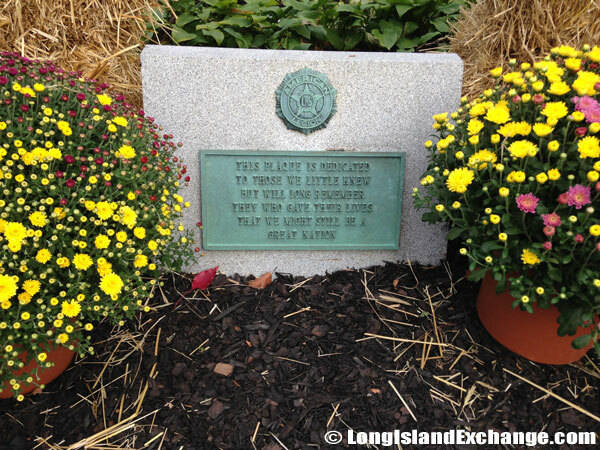 A sign by the West Islip Beautification Society recognizes Dorothe Harwoski Memorial Garden while welcoming visitors and residents to West Islip, located at the triangle where Higbie Lane, meets Udall Road, just north of the train tracks. 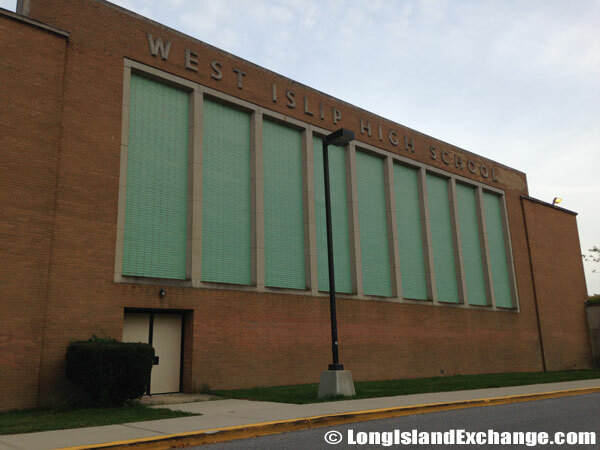 The community is served by West Islip School District which has six elementary schools, two middle schools, and one high school. The total enrollment of 3 years and over is approximately 8,396 students. West Islip also has its own beach and marina. There are two major malls each only about 10 minutes away, major roads close by and a five minuet Long Island Rail Road commute from adjacent Babylon.